Inbound marketing focuses on targeted marketing tactics, which generates a ‘pull’ effect, rather than an outbound ‘push’ effect. As we move into the second half of 2018 and beyond, more organisations are opting to use inbound marketing tactics due to its high success rate and ultimately, its relevancy to modern buyers. 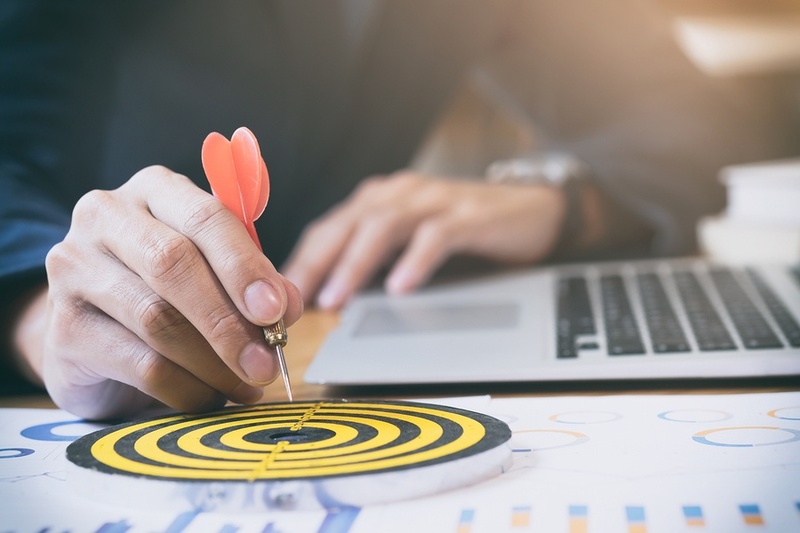 If you’re looking to take your marketing inbound, look no further than this article where you’ll learn all the important things you need to know to build a successful inbound marketing strategy. The first step when building a successful inbound marketing strategy is defining your audience. Establishing a target audience is a key component of your inbound marketing strategy. Your entire strategy revolves around creating content that speaks and appeals to your audience, so the more clarity you have on who you’re speaking with, the better your content will be. At its core, inbound marketing is centred on your customers, so your first step should involve understanding who your customers are. How do you find out this information? By creating buyer personas. In order to create buyer personas, you need to get to the heart of your customers’ thoughts, behaviours, problems, needs and desires. Here’s more information about creating buyer personas. It is vital that you identify and understand the pain points and triggers of your customers. What problems do they encounter that make them search for your product or service? Knowing this information is valuable because it adds depth and relevancy to the content you create. Identifying your customers’ pain points allows you to base your content on real solutions rather than assumptions. It allows you to target customers with both reason and emotion – a truly powerful combination. Once you better understand your buyers, their pain points and triggers, you need to identify where they live online. This insight will tell you where to focus on distributing and promoting your content once you’ve created it. Which social media sites do they prefer. Which forums or websites do they trust and go to for information? Make a list of everywhere your target audience might spend their time online. If you’ve successfully developed your buyer personas, this task shouldn’t take you too long. What are your primary objectives? Identify 1 or 2 primary objectives for your inbound marketing strategy to achieve? This focus will ensure the success of your strategy. It’s easy to get carried away and to try and achieve ‘everything’ all at once but what this does is dilute your impact and ultimately your results. Prioritise your objectives and work through them one by one, each having its own strategy to ensure success. For example, if your business decides to focus on improving its lead generation, then your inbound marketing strategy should be focused on one very specific buyer, painpoint and solution. All your content and lead gen offers should be aligned with how this specific customer buys from you. You should refer to their problem, industry, job title, and all your content should address the specific information they’re looking for at each stage of the buying process. When your content is that specific it resonates with the right buyer, they feel like you understand them and their problem, and they are more likely to trust you. Your content strategy is the next key step in building a successful inbound strategy. When your content strategy is aligned with how your customers buy it will first attract them to your organisation, keep them engaged and nurture them through the buying process and finally provide your sales team with the necessary tools to close them into happy customers. Learn more about creating content strategy here. How Will You Nurture Your Leads? It’s often the case that customers will come across your website, but they aren’t ready to buy. They might need more information, or maybe they need more time deciding if you’re the right organisation, or have the right product or service. Whatever the reason for their delay, it’s important you stay top of mind until they are ready to buy. Marketing automation will provide you with the opportunity to keep prospects engaged with your content and your brand. Marketing automation tools allow you to automatically send an email to a lead based on their activity. This means you’re responding to them, based on when they’re interested and on their timeline. For example if someone downloaded a buyers guide from your website you can send them an email with the ebook and also an invitation to visit another page on your website that provides additional, helpful information. Marketing automation, implemented correctly, will send another email out to this lead after they have visited the relevant page. You can also use marketing automation to notify your sales team of leads’ activity so they know when to call. Staying top of mind means you’re providing relevant, helpful content when your leads are interested. I hope this blog has provided you with helpful information about how you can begin to build a successful inbound marketing strategy. The important thing to remember is that it takes time and plenty of research to build an effective inbound strategy, so don’t rush and don’t be disheartened if you don’t see results the next day (it typically takes a few months to get results).